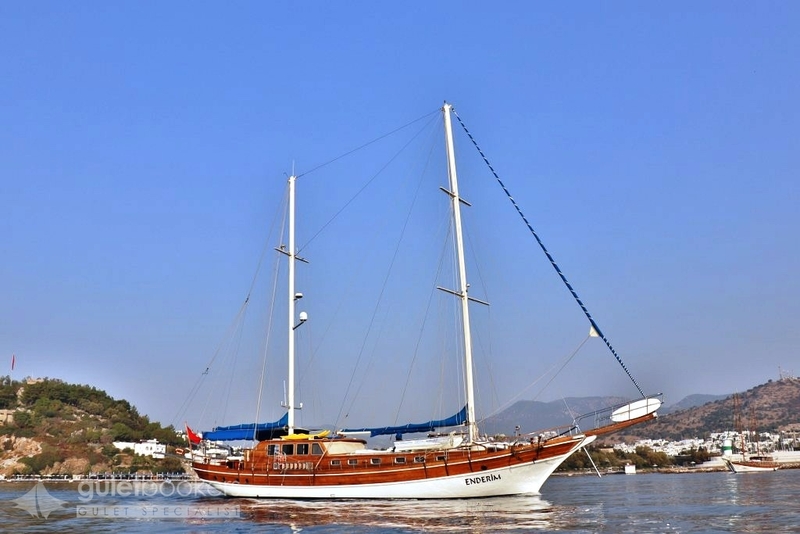 On a blue voyage cruise all of this becomes possible along with the explorations of Turkey's most hidden bays and otherwise inaccessible beaches. 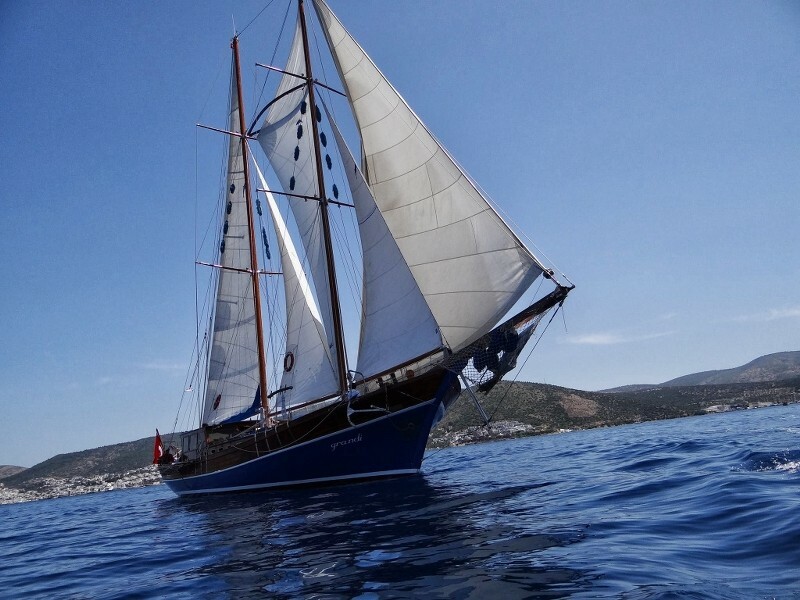 You have many routes and options to choose from to experience the best of what Turkey has to offer while on your blue cruise. 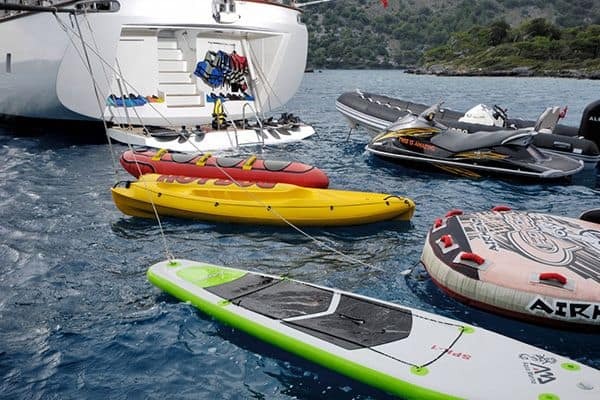 We at Guletbookers are here to assist you in choosing the ideal boat that will cater to your needs, while you enjoy the unsurpassed reliability we are famous for. 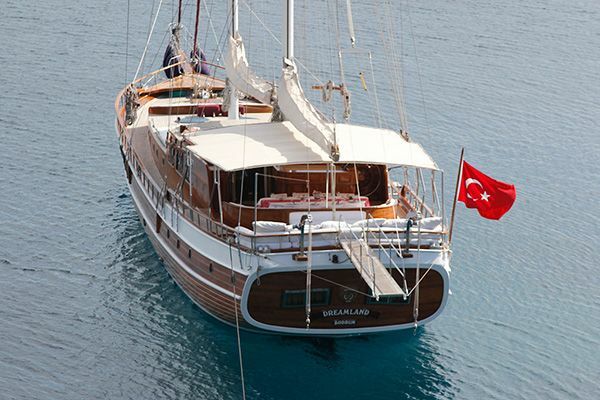 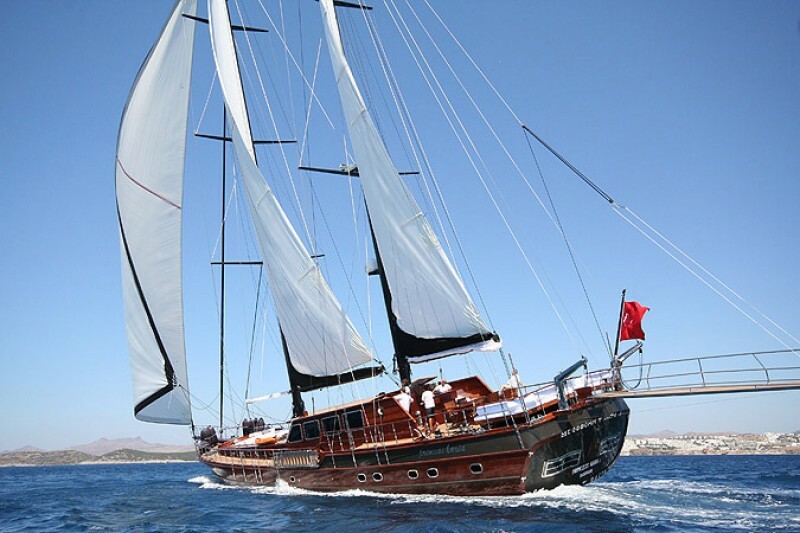 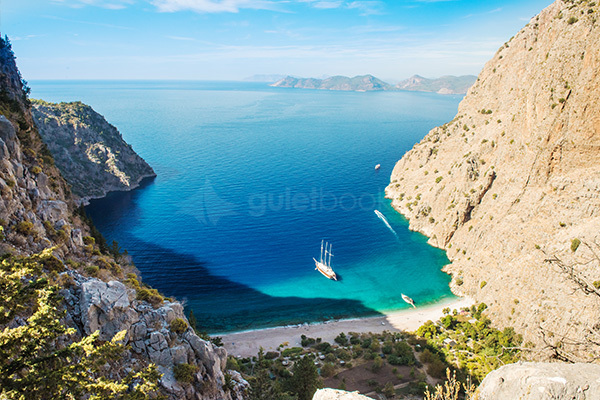 We are confident we will meet your expectations thanks to our service and gulet fleet. 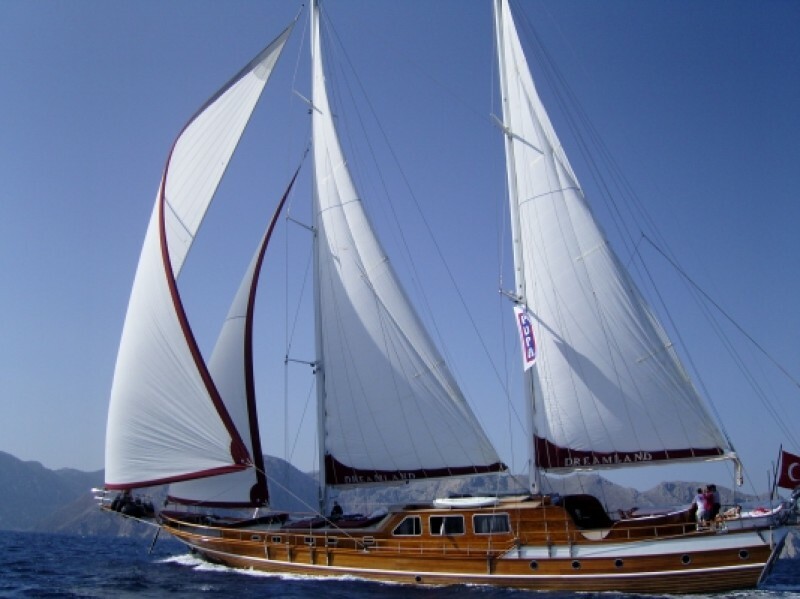 We believe experiencing sailing through the blue waters of the Aegean and the Mediterranean Sea on one of these beautifully designed unique wooden boats is a "must do" in anyone's life, and we have the know-how and experience to usher you to this dream-like world to your heart's content. 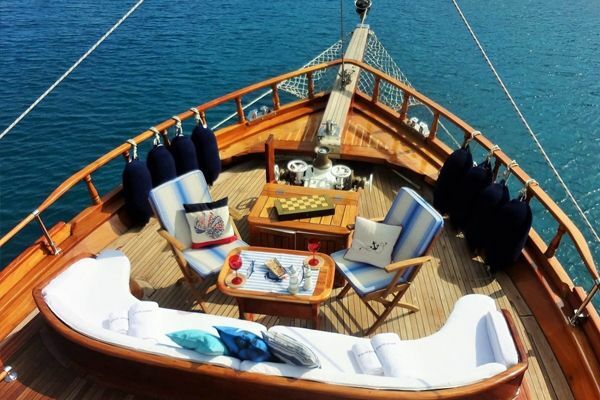 You can be sure you will enjoy not only a fabulous tour experience aboard your favorite yacht but also first-class pampering service by a friendly and professional crew along with excellent meals while you fully enjoy the company of your loved ones. 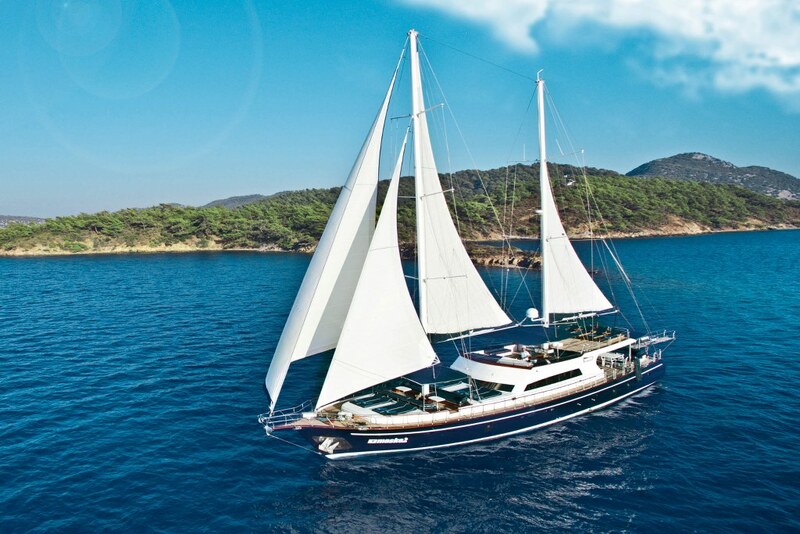 You can anchor in 2 or 3 bays a day, swimming in crystalline turquoise sea and sunbathing; playing with your favorite water sport toy, enjoying a table game with your loved ones; or you can choose to take a walk around the local villages for shopping or sightseeing. 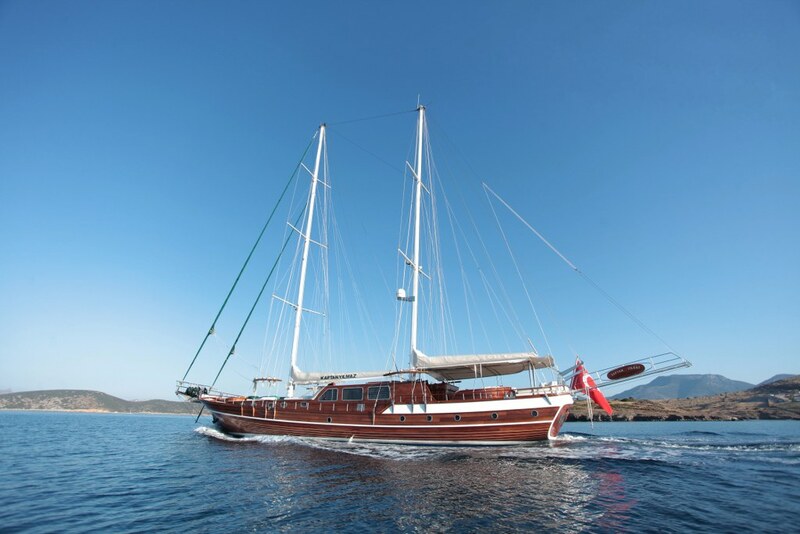 For your sea journey you can choose from gulets ranging from 12 to 50 meters with different cabin configurations and number of crew members. 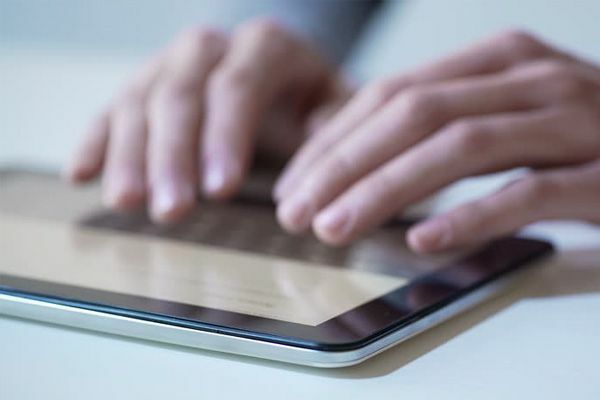 Options with standard, luxury and extra-luxury features can also be determined according to your budget. 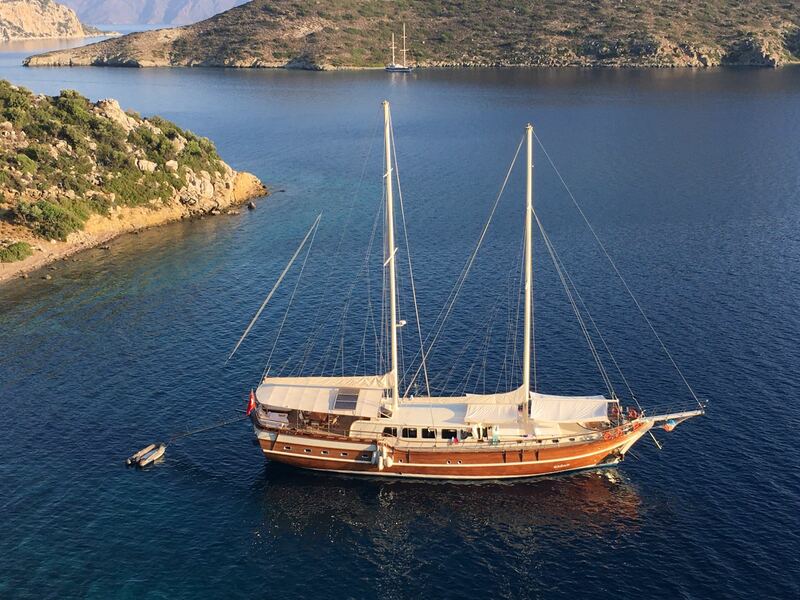 At Guletbookers we have plenty of gulet options and amenities to offer along with our world-class customer service, that keep our guests consistently satisfied. 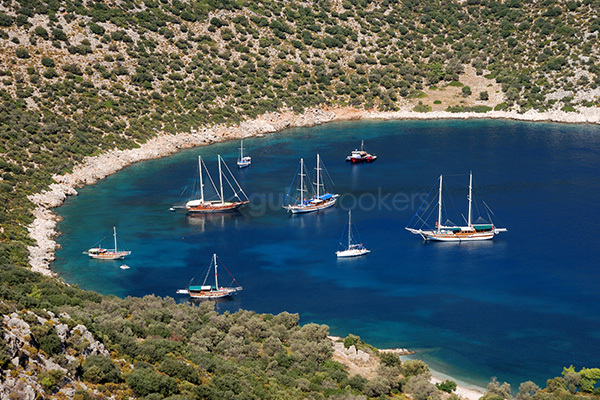 On your Turkish private yacht charter you can discover the Aegean and Mediterranean most hidden natural jewels and spend some quality time with your loved ones in local fish restaurants while moored in a gorgeous bay. 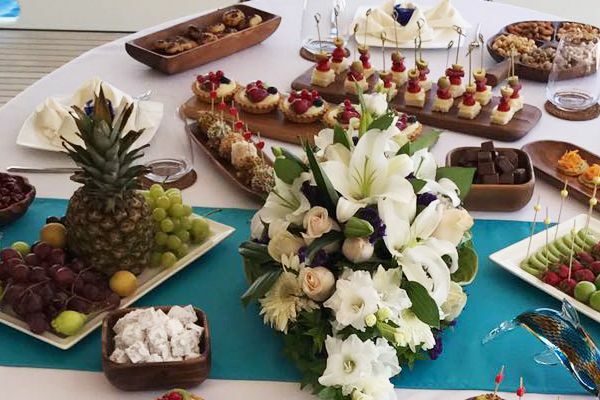 We can also arrange to organize parties for you and your group. 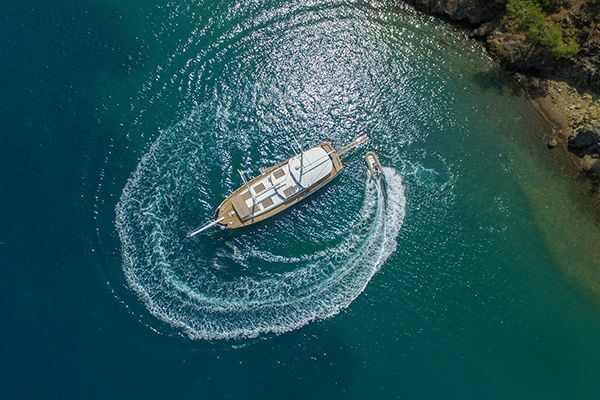 What better setting than a cruise on your own privately chartered yacht to surprise your loved ones with a celebration they will remember for the rest of their life? 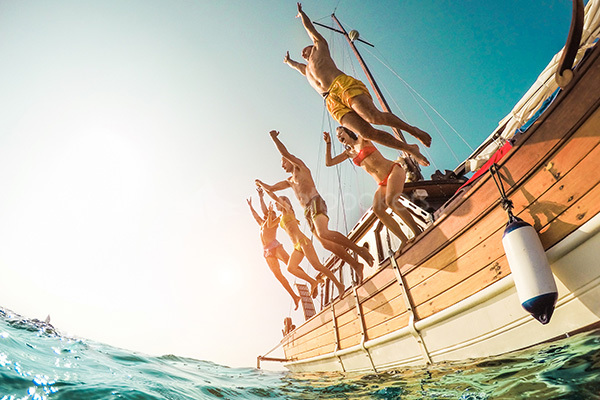 Allow us the pleasure of participating in your joyful moments by giving you the best service and yacht the market has to offer, at a competitive price.